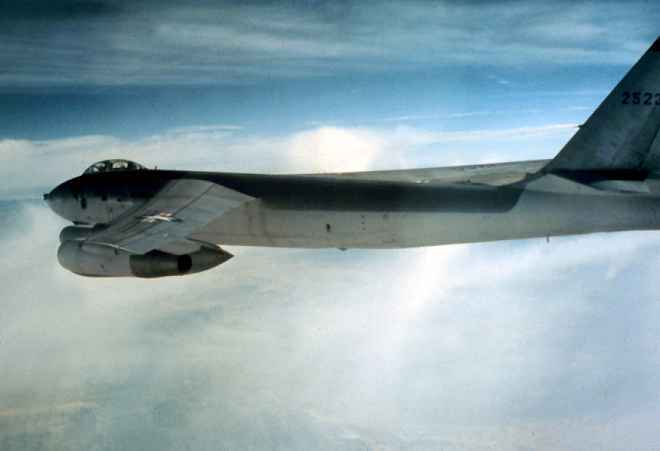 The B-47 was the world's first swept wing bomber and the first to use a bicycle arrangement landing gear, which was necessary because of the thin wing. 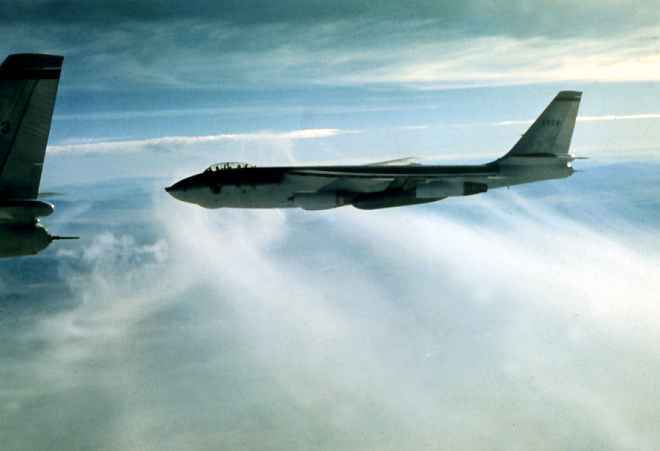 The B-47A entered service at MacDill AFB FL in 1951, soon followed by the B-47B. These early aircraft were used to train crews and perfect operations techniques. 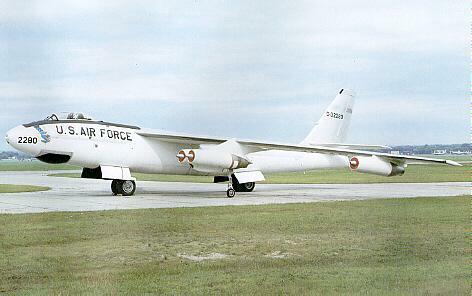 The fully operational B-47E arrived at MacDill in 1953 and the 306th BW became operational with the Operation Sky Try, wherein the aircaft and wings capability were tested to the maximum. This operation established the benchmarks for future wings. A total of 2041 planes were built. 1260 B-47s became operational as bombers and 600 as trainers and reconnaissance aircraft. The unit cost is estimated at $1.9M. Aircraft were built by Boeing Aircraft Company, at Seattle WA and Wichita KS, by Douglas Aircraft Company at Tulsa OK and by Lockheed-Georgia Co. at Marietta GA. J-47 Engines were built by General Electric and some early models were built by Studabaker Company. B-47E #2280 is on display at the USAF Museum, at Wright-Patterson AFB, OH. Photo courtsey USAF Museum WWW page. Photos taken on 1955 Unit Simulated Combat Mission (USCM). Aircraft are over Atlantic Ocean enroute from MacDill to Morocco. 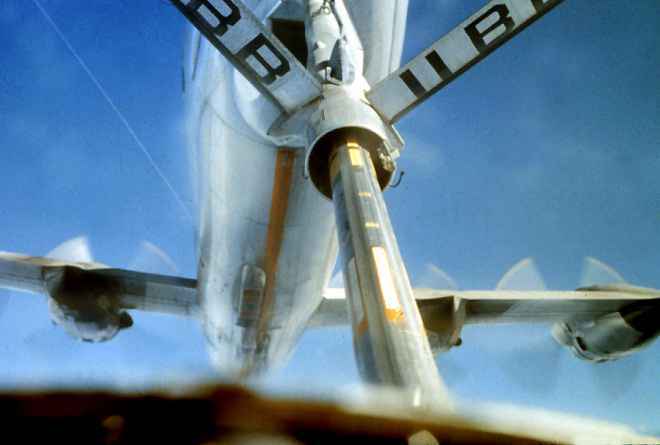 Upper left B-47E Aircraft #526 shows the white underbelly paint use for reflecting the atomic blast heat. Upper right shows air-to-air refueling with KC-97 Tanker, off Azores Islands. Lower right, shows the flex in the wing during flight.